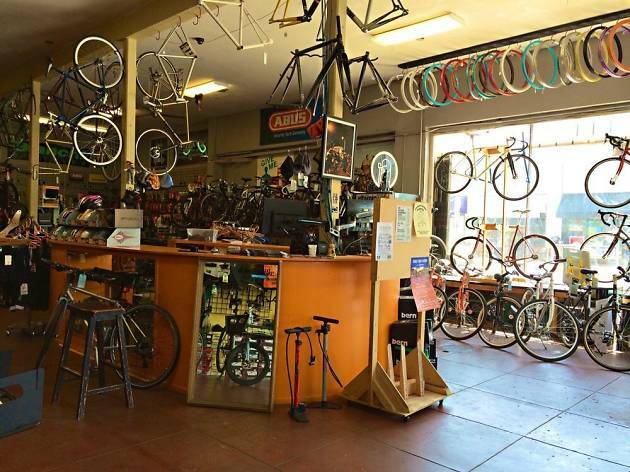 At the heart of LA bike culture, Orange 20 is a great place to meet like-minded riders. 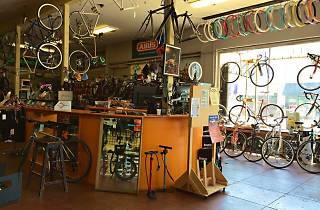 The shop is big, bright and welcoming, and you'll find tons of great gear here in addition to commuter, road and mountain bikes. Almost as big as the shop itself is Orange 20's repair area in the back, where roughed up bikes go to get tuned and gussied up. This is a great shop if you're new to the scene: You can walk out with a starter bike and some necessary accessories (helmet, lock) without breaking the bank too badly or embarrassing yourself in front of any geeked out gearheads.